Updated with Tesla’s Press kit. Overall the update mirrored my predictions pretty well. I will post audio when available. Model S is the only car on the road that improves with time, thanks to Tesla’s free, over-the-air software updates. With each new update, Tesla adds functionality, enhanced performance, and improved user experience to every Model S.
Today’s announcement of software update 6.2 introduces new features that expand the car’s intelligence which eliminate range anxiety entirely, enhance Model S’s active safety features, and bring Model S closer to having autonomous capabilities. Our energy and range functions eliminate “range anxiety” and remove the hassle of planning road trips before you embark. By introducing Range Assurance and Trip Planner into Model S’s navigation, long distance travel is now foolproof. 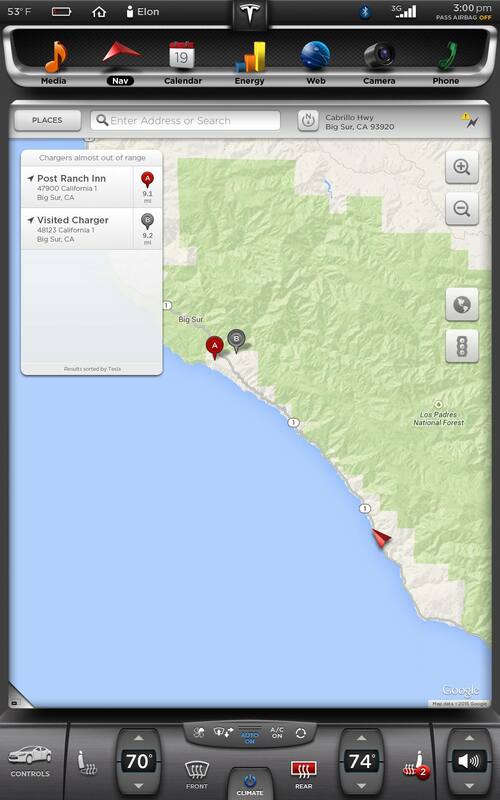 Navigation automatically routes Model S through Tesla’s charging network. Currently 90% of the US population is within 175 miles of a Tesla Supercharger; finding quick and convenient charging has never been easier. 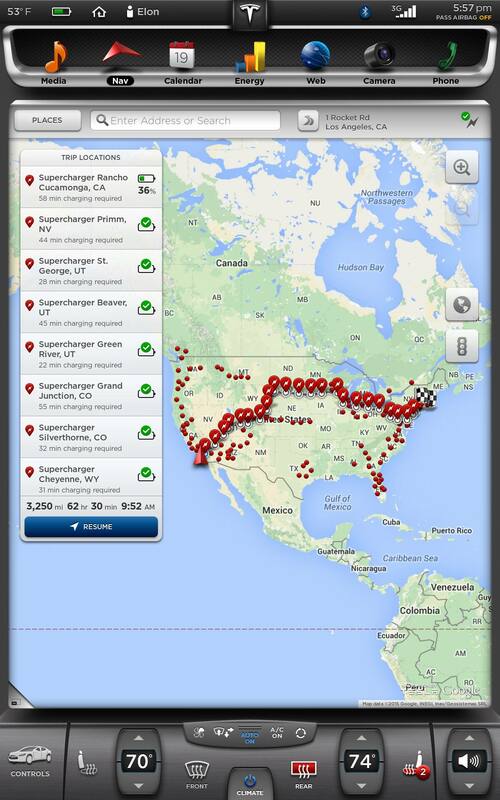 Include Tesla Destination Chargers and 95% of the US Population is now within ample range of Tesla’s charging network. 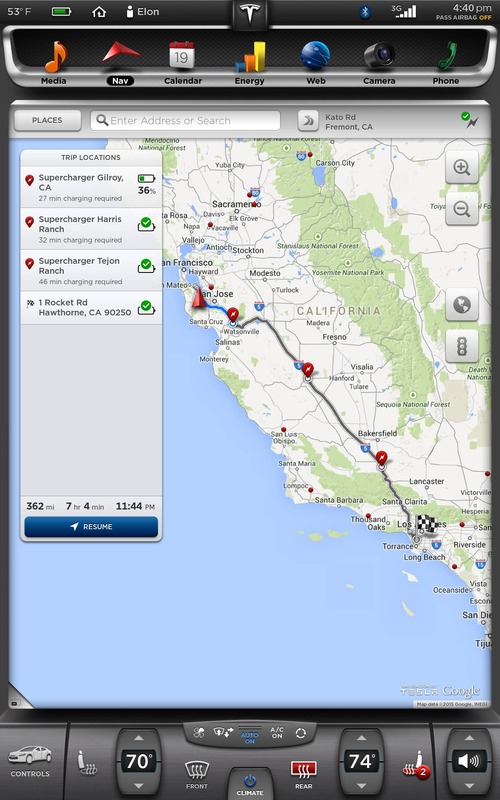 Trip Planner Model S owners can now take road trips with confidence. Simply select a destination, and Navigation will now automatically route through the appropriate superchargers if charging is needed for your trip. Trip Planner will select a route to minimize driving and charging time. At each supercharger stop, Trip Planner will notify you via the iPhone app when you’ve charged enough to continue on your trip. Android app users can monitor charging needed for the trip via the Charging screen. Automatic routing along Tesla’s Charging Network Drivers can choose a final destination and Model S will route them through charging locations automatically. Navigation will display the fastest route to the destination and break the route into legs between Superchargers, displaying anticipated charge times at each station in a simplified list view. Push Notifications at Superchargers Model S will notify drivers via the App when they have enough juice to depart for the next Supercharger or their final destination. Range Assurance Model S does the thinking for you. By continually monitoring and advising owners when they are at risk of driving beyond the range of reliable charging locations, “range anxiety” is gone. When the warning is triggered, Model S provides a list of Superchargers, Tesla Destination Chargers, and locations where the vehicle has previously charged that are within current range. Drivers then select a charging destination from the list and Navigation will provide turn-by-turn guidance along with the predicted battery energy when you get there. The new Driver Assistance features in 6.2 are designed to intelligently anticipate and react to potentially dangerous situations. Since the unveiling of autopilot in fall 2014, Tesla has pushed a number of active safety features to Model S via wireless software updates that enhance the safety of Model S and bring Tesla closer to rolling out full autopilot capabilities to vehicles on the road. Automatic Emergency Braking This new Collision Avoidance Assist feature automatically engages the brakes to reduce the impact of an unavoidable frontal collision. Automatic Emergency Braking will stop applying the brakes when the driver presses the accelerator pedal, the brake pedal, or sharply turns the steering wheel. Blind Spot Warning Blind Spot Warning assists the driver to change lanes safely. When Model S is travelling between 20 mph (30 km/h) and 85 mph (140 km/h) and detects a vehicle in the driver’s blind spot, a white arc will appear on the instrument panel near the bottom of the speedometer. If a collision with the vehicle becomes likely, two red arcs will appear, the steering wheel will vibrate, and the driver will hear a chime. Valet Mode conveniently and discreetly limits Model S’s driving performance and restricts access to certain settings and personal information. With the touch of a button, owners can place a limit on speed, lock the glove box and frunk, and disable personal information like driver profiles and homelink settings. The top speed for P85D is now 155 mph (250 km/h). Traffic-based navigation: The model S navigation system now takes real-time traffic conditions into account when determining your route, and estimated travel times are adjusted to reflect traffic. This feature will also continuously monitor traffic while navigating, and re-route if warranted. Location-based smart air suspension: Useful on roads or driveways that require higher clearance, with this feature, Model S will remember where you select HIGH or VERY HIGH ride heights. The air suspension will then automatically rise at those locations in the future. 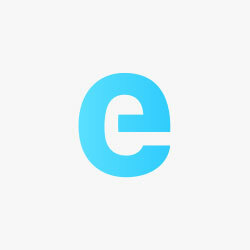 Calendar app: Allows drivers to view their phone’s calendar for the current and next day. If a calendar event has a location specified, they will be given the option to navigate to that location. When they have an event on their Calendar that will take place within the next hour, the Model S navigation system will notify them if there is a better route due to traffic, even if they’re not using navigation. Traffic-Aware Cruise Control: When TACC is engaged, Model S will adjust its speed based on the car directly in front of you, decelerating and accelerating as needed. Forward Collision Warning: Forward Collision Warning will warn you when there is an object in your path and a collision is likely unless the driver takes corrective action. Auto High Beam: Auto High Beam temporarily switches Model S to low-beam headlights if there is traffic or urban lighting detected in front of the car, such as from an oncoming vehicle or street lights. 1st autodrive will come in 6 months. You’ll be able to summon your car on private property. Press kit will be posted at teslamotors.com/presskit.